Couples trying to conceive are always bombarded with varying advice as how best to achieve it. The latest research which was presented at the American Society for Reproductive Medicine’s annual meeting in Boston is bad news for men. 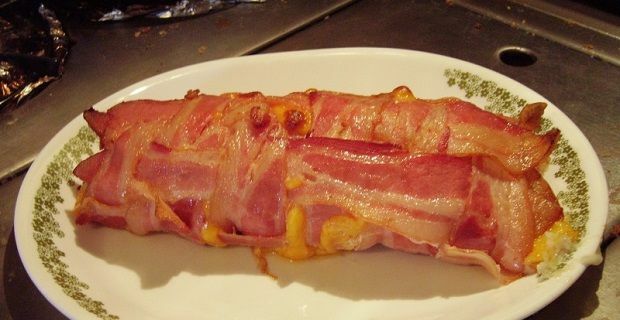 It showed that for men who are trying for a baby the effect of eating bacon and red meat lowers sperm count. So put down that bacon butty! The dinner option for men trying to conceive should be certain types of fish – which is now believed to improve fertility. The study, carried out by Dr Myriam Afeiche and a team from the Harvard School of Public Health recruited 156 men who were enrolled in in vitro fertilisation due to fertility issues. Those recruited, and their partners, were questioned about their diet including their consumption of processed meat, red meat, white meat, poultry and fish. Dr Afeiche stated that “We found the effect of processed meat intake lowered quality and fish raised quality”. In fact the results were that men who ate less than half a portion of processed meat a day had 7.2% normal sperm while those eating a half or more had only 5.5%. Of course the debate on the impact of lifestyle choices on fertility continues and not all medical professionals are convinced that there is a significant impact of particular foods on fertility in either men or women. There are other studies that have linked processed meat with effects on men’s health such as that led by An Pan, also in Harvard which found one daily serving of processed meat caused increased risk of death and a serving of red meat a 20% increase in mortality rates. Of course when trying to conceive maintaining your health is vitally important so a good diet is, even without such findings, common sense. Diet, however is not the only factor in successful conception. Check out other tips and advice that can help in maximising fertility and chances of pregnancy.